Distressed debt funds had a disappointing year in terms of returns in 2014. According to Evestment distressed funds returned 0.6% last year, and attracted net subscriptions of $9.15bn in 2014. The story is little different this year in terms of returns- Eurekahedge data makes distressed investing the strategy with the lowest returns so far in 2015. Aggregate flows to distressed funds on the Evestment database are neutral YTD. Against this unpromising background for the strategy Howard Marks’ Oaktree Capital has been on a capital raising program. Oaktree, the world’s largest asset manager specializing in distressed debt, has been on the road since the Autumn in a campaign to raise capital for two new funds that will capitalize on opportunities in the senior or secured debt of companies under financial duress. One of the distinguishing features of Oaktree as a hedge fund firm is that it has a history of being opportunistic. Its funds are not open all the time. Further Marks’ firm will return capital to investors when the outlook for returns on that capital deteriorates. So in 2011 Oaktree gave back $3bn of capital to its investors. This track record of concern for the returns on the capital of its investors makes the timing of capital raising by Oaktree of particular interest. The Los Angeles-based firm has not raised new capital since 2013. Its last new fund started with $5bn of capital. 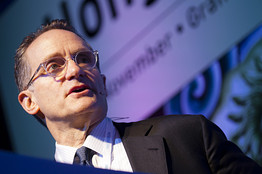 This time Oaktree Capital is raising $10bn to put to work in distressed or non-performing assets. After a period of dull returns, the precedents suggest that returns from distressed loans and distressed securities are going to get a lot more interesting in the medium term.